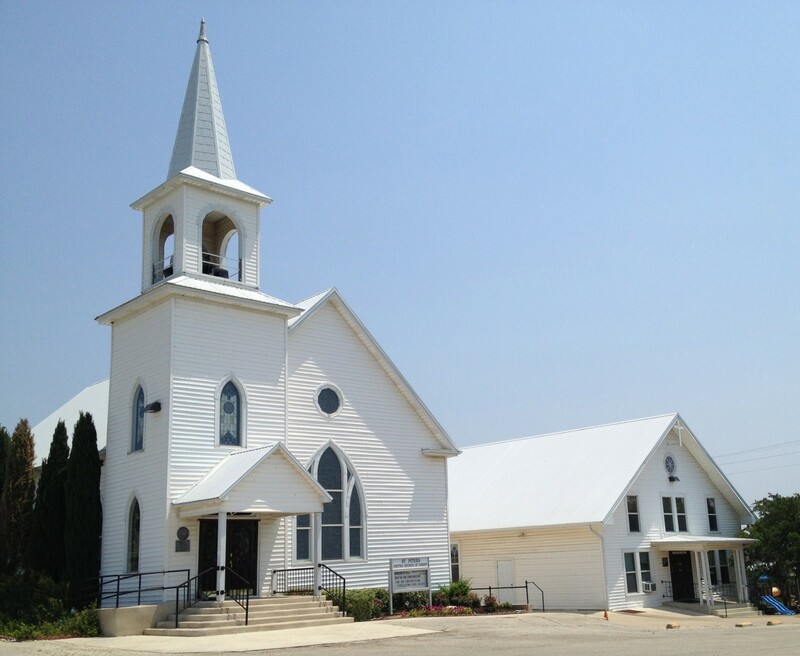 This Week at St. Peter’s Church of Coupland – Kirchenfest! Sunday at St. Peter’s on the hill is “kirchenfest” which locally means “Confirmation Reunions.” Several special classes have been invited and will be recognized. Normally, Kirchenfest in Germany, and in some other church settings globally, means extraordinary showcasing of mission. The lesson contrasts the “self satisfied” Pharisee with the poor unfortunate beggar/sinner whom Jesus lifts up for his faith expression and focus. The lesson and the literal interpretation of such a lesson as took place in the witness of the new Pope Francis this week make a striking backdrop to what in the liturgical church calendar is REFORMATION Sunday. That makes it a RED LETTER day recognizing the work of the Spirit to call us to a deeper sense of church and faithfulness in ministry as the people of God. What an apt summons for a church on the bridge toward its future! Following church services, our annual Kerchenfest will take place, recognizing confirmands from 25, 50 and 60 years ago (1988, 1963, 1953). A list of names can be found on page 5. There will be a turkey luncheon after worship and a raffle for a special, heirloom queen-sized quilt. The quilt, “Loving Leaves” created in beautiful fall colors, was originally donated by Bill Albert. The top was pieced anonymously, and then lovingly hand quilted by the ladies in the St. John’s UCC Church quilting group in Burton. Raffle tickets will be $5 each or five for $20 and the funds will support parsonage improvements and repairs which will be needed prior to occupancy by our new pastor. Join us for food and fellowship! 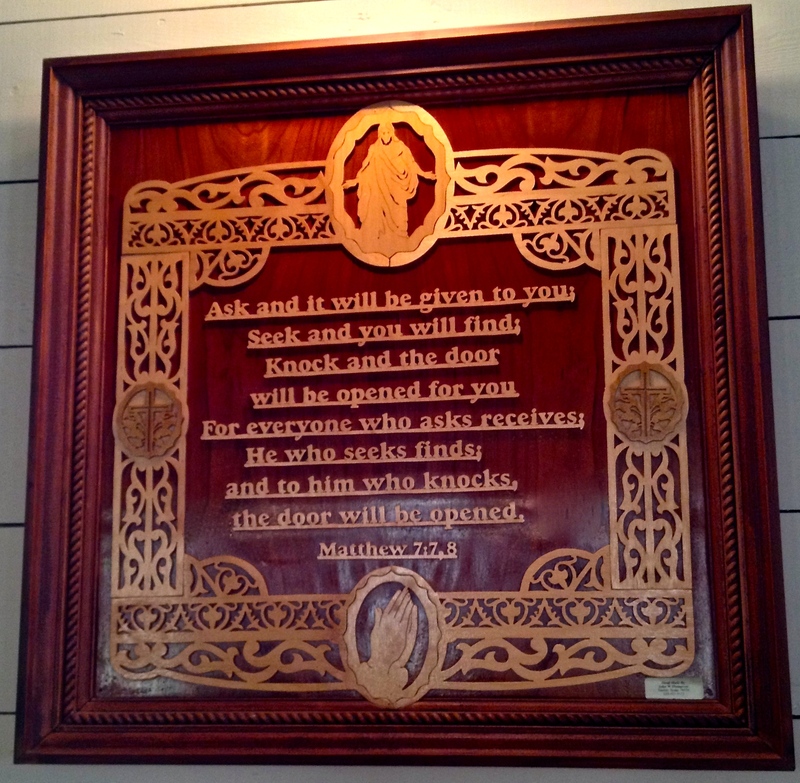 One of the hand-carved, wooden scripture plaques in the sanctuary. This entry was posted in St. Peter's Church and tagged Kirchenfest, St. Peter's Church of Coupland Texas on October 26, 2013 by Stewart Dale Spencer.